These photos were forwarded to Chris Cobern earlier this year from a couple in Kinglake West. 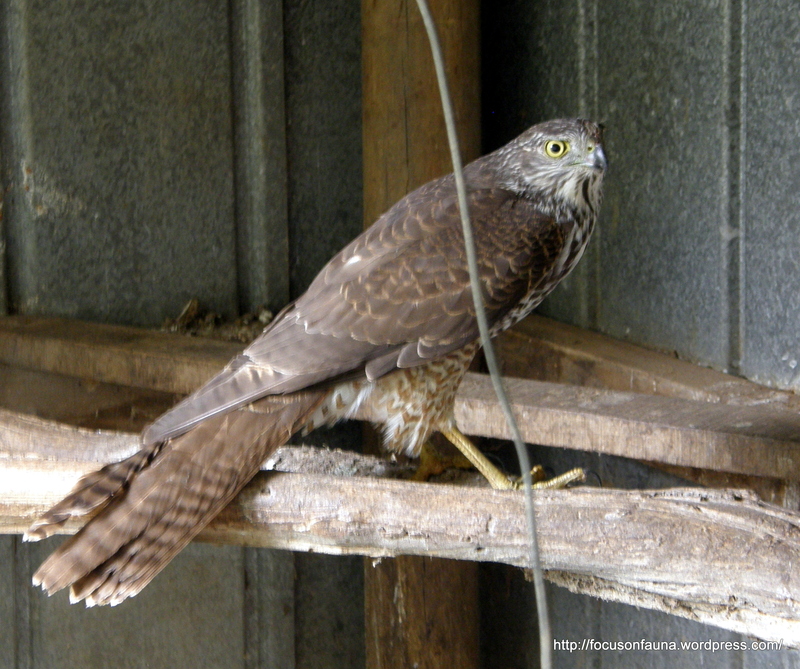 It was thought to be a Collared Sparrowhawk rather than the similar Brown Goshawk, and an expert at BirdLife Australia has just confirmed that for us – the distinguishing features being the relatively slender body, the lack of a really prominant eyebrow and the greyish plumage rather than brownish on the back. 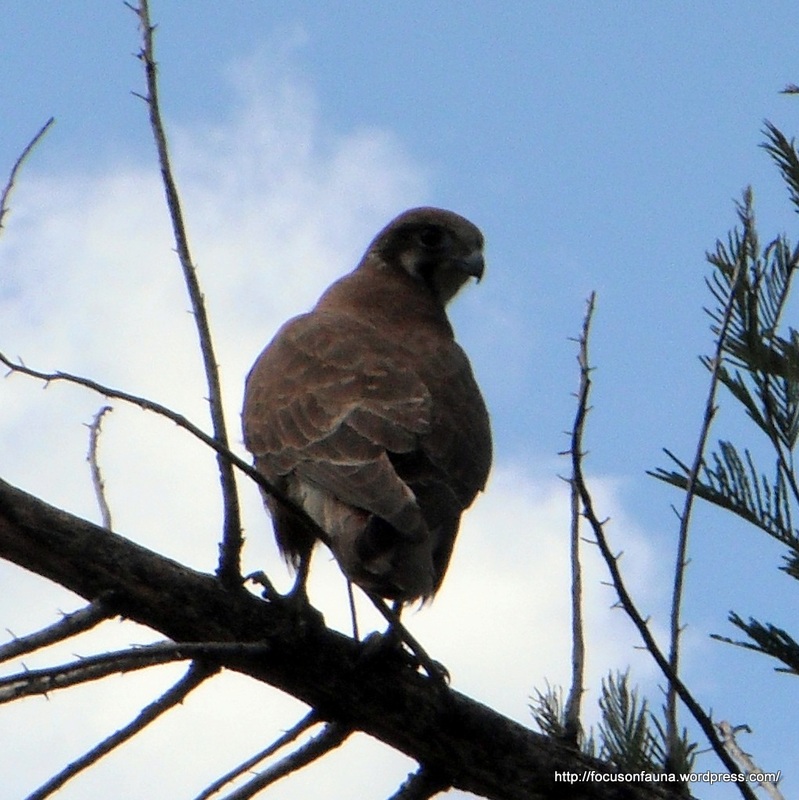 And here’s another bird of prey photo forwarded by Susan from Strath Creek, a regular poster of comments on this blog. It looks like a Brown Falcon to us, a fairly common sight around the Flowerdale – Strath Creek district, either perched on a fence post or power line, or cackling as it flies overhead. Any other thoughts on the identification of these birds would be welcome. 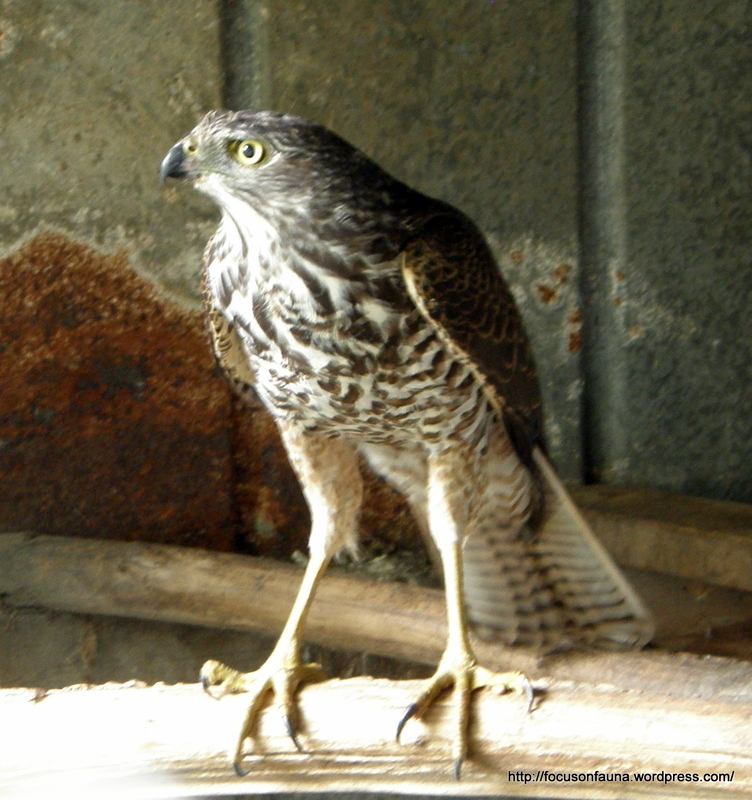 For more detailed information on these two raptors, click on the Birds in Backyards website pages for Collared Sparrowhawk and Brown Falcon. ← Lunch for Little Eagle!